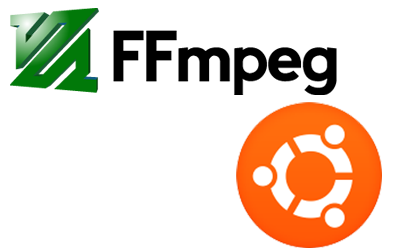 In this tutorial I will be going over how to install it in Ubuntu 14.04. Why should there even be a tutorial on how to install this? Shouldn't it be just something like "sudo apt-get install ffmpeg"? There are two problems lots of codecs and licensed codecs. If every codec and file format out there was open sourced and freely available we have a problem. There are just too many formats out there to install all of them with ffmpeg… since 95%+ of them, you personally may not care about or need. Many formats are 'owned' by someone. For example mp3. Most of these don't seem to have a problem with you decoding it…. But making a piece of software that can read it may need to be licensed. Since ffmpeg is open-source they cannot pay for the mp3 license for their tool. But they can make it so that you can 'plug-in' an mp3 tool into ffmpeg. So it's fairly easy to install ffmpeg, but it's hard to install all the other tools ffmpeg needs and to configure it correctly. My process is derived from notes at http://trac.ffmpeg.org/wiki/CompilationGuide/Ubuntu . Go there if you want complete details. I followed it very closely. The main thing I did differently was find which tools could be installed via apt-get and I used apt-get for those. This is the install process I followed for Ubuntu 14.04. I have a video called zipper-vid.mp4 and I have an audio file called firefly_song.m4a. I want to combine these. In fact I want to replace the original audio from the .mp4 file with the audio file. Here is the command I used. This create a new video file called new_video.mp4. I made a youtube video running through how I did this in detail. Here is the script file. echo "This script must be run with admin privileges 'sudo'"
echo "Installing ffmpeg on Ubuntu 14.04"
echo "2/12 install needed build tools"
echo "3/12 Create location to do work in"
echo "4/12 Install yasm via apt-get"
echo "5/12 Install libx264 via apt-get"
echo "6/12 Install libx265 via build tools"
echo "7/12 Install libfdk-acc via build tools"
echo "8/12 Install libmp3lame via apt-get"
echo "9/12 Install libopus via apt-get"
echo "10/12 Install libvpx build from source"
echo "11/12 Install ffmpeg build from source"
echo "12/12 Moving ffmpeg tool from ~/bin to /bin"